Located in the southeast region of Henan province, Tongbai has a population of 460,000, and covers an area of 1,491 square kilometers. 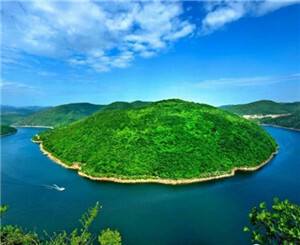 Tongbai county is a divider between the Yangtze River and Huaihe River. 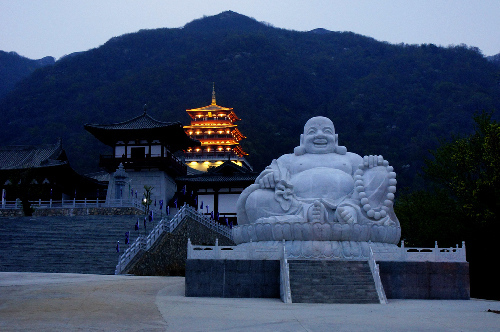 The unique Tongbai culture is formed with a long history and traditional folk customs, the most distinct of which is the Buddhism and Taoism culture. Tongbai was rated as "the Capital of Trona in China" by the China Association of Mining and Technology in 2006, the "Top 10 culture model counties in Henan province" in 2007 and the "Henan Provincial Ecological County" in 2014 by relevant departments. In 2013, its GDP reached 10.2 billion yuan ($1.7 billion), with an increase of 10.5 percent over the previous year.